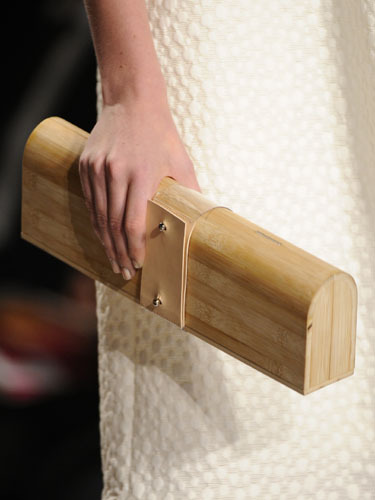 These simple deconstructed bags from the spring summer 2010 shows in new york caught my eye. 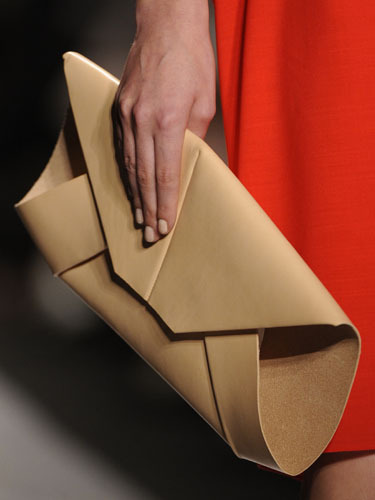 Some of the pieces seem not much more than folded over pieces of leather. 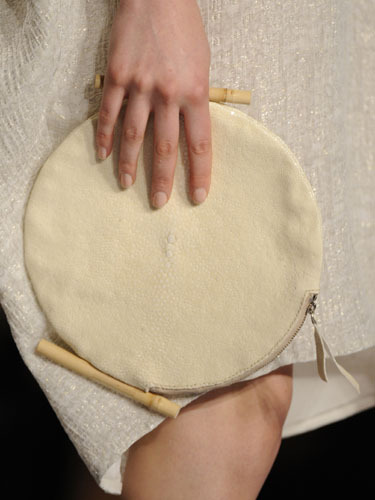 The materials are simple and minimalist, i really love them. 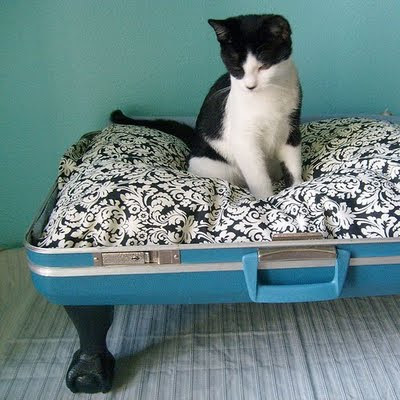 As i have discovered there are a few different suitcase pet beds out there, even some instructions on how to make them. But i especially love these, as i think the antique style legs on them are so gorgeous. (not to mention the cats). I found them on this fab site called recycleart.com which features loads of different ideas of making things out of old other things.... otherwise known as recycling. 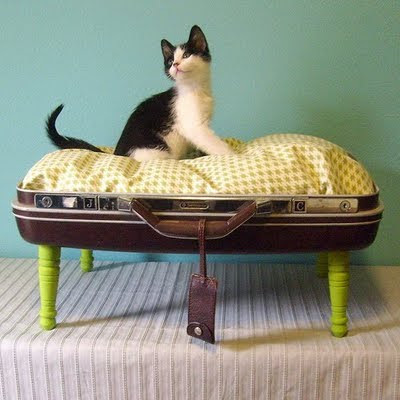 I can't really speak properly today so i won't say much else except that these are such a great ideas of what to do with an old suitcase, particularly if you have a spare pet lying around the house (which i do). The hanging luggage tag which doubles as a toy is particularly cute. 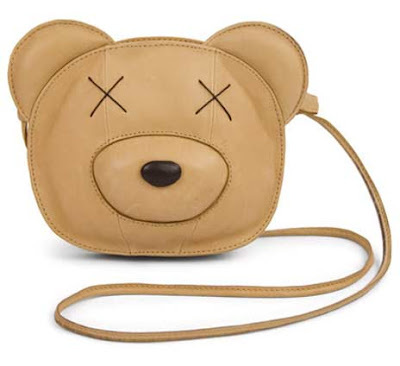 I could NOT resist this teddy bear handbag by Valeria Pesqueira. 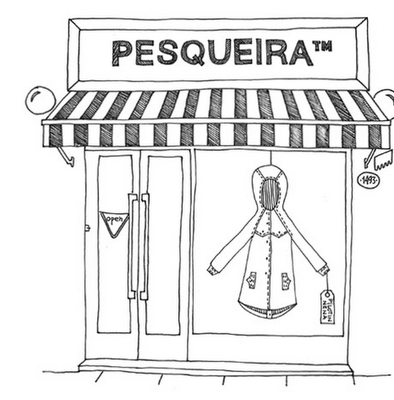 PESQUEIRA is an argentinian fashion label. 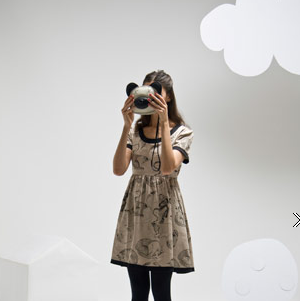 The clothes are everyday casual style with a bit of a kooky illustrative edge. 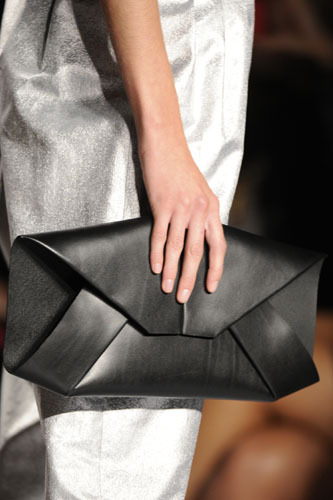 This bag is too cute and i think about young cutesy japanese girls when i see it. The nose bit really makes me laugh every time i look at it.